Did you know that September is National Whole Grains Month? Me neither. The good people at Freekehlicious asked me to try this young roasted green wheat, so I have been playing with it these past few weeks. The cracked freekeh is my favorite and I created this absolutely delicious Freekeh Salad loosely based on a farro salad recipe from the Zuni Café cookbook. I love farro, another whole grain, so I wondered what was the difference between the two. In taste, farro is a bit more chewy. I liken the cracked freekeh a bit more to bulger, but a little larger in size. Freekeh is a whole grain that is very satisfying. I served this salad with a broiled steak and some blanched sugar snap peas and I literally stopped eating the steak after two bites and had seconds on this salad instead! So what is freekeh? It is wheat that is harvested while still young and green, then parched, roasted and dried. I’m told that this process captures and retains the grains at the state of peak taste and nutrition. Full of health benefits and it does a good job of making you feel full, so it’s great for dieters. They say you can also make this as a breakfast cereal. I once had a nanny for our kids, that when I asked her to make polenta for dinner, she added sugar, because she had only eaten it as a breakfast cereal! The sweet polenta did not go over well as a dinner side. But this salad will, so try it and try freekeh. Although the name is funny, the taste is delicious! I also found it needed a few minutes longer in cooking than the package directions stated. Taste and tenderness should be your barometer. Place freekeh and water in a small saucepan and lightly salt with coarse sea salt or kosher salt. Bring to a boil, reduce to a simmer, cover and cook for 25 – 30 minutes, until tender. Remove from heat and let sit in pot for 5 minutes longer. 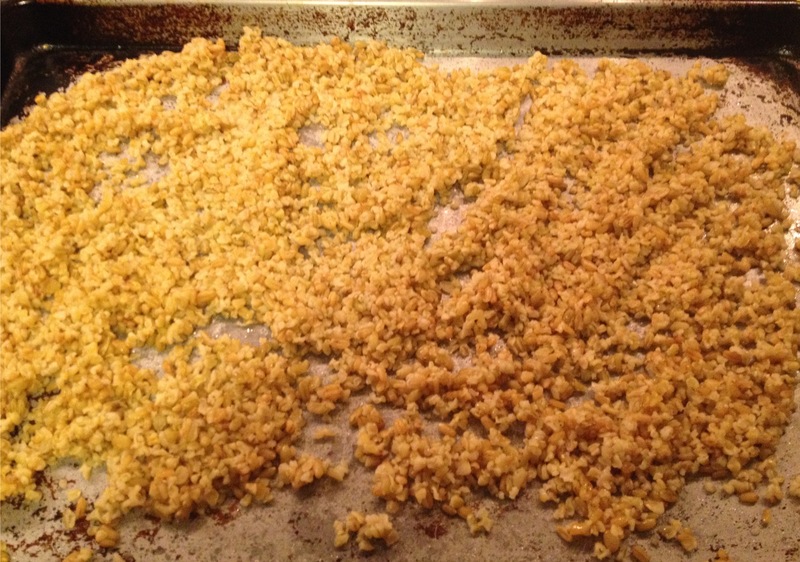 Drain and spread out on a sheet pan to cool. Whisk together the sherry vinegar and olive oil. You should barely taste the vinegar. Season with salt and pepper to taste. When freekeh is cool, transfer it to a bowl and fold in the tomatoes, anchovies and cucumber. Drizzle on the vinegar and olive oil dressing and scatter the basil leaves on top. Fold all to combine. Serve with LOVE immediately. (Do not let this sit around as the brightness of all the ingredients will fade.) Enjoy! Best, unique salad. Best, unique friends. 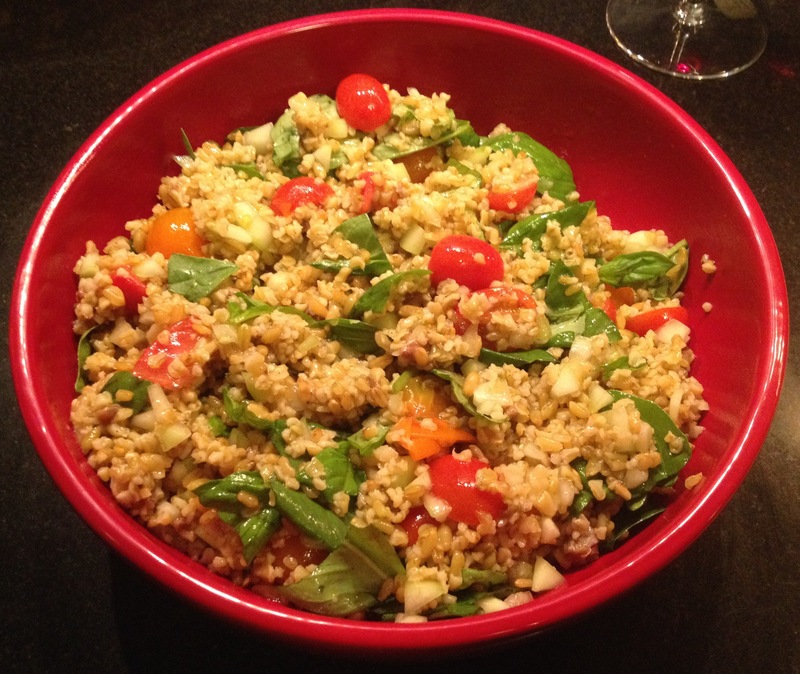 Delicious salad Mary Frances, I love freekeh, and love saying the name. Funny story about the polenta. 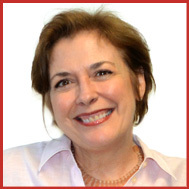 Hi Suzanne – I had never heard of Freekeh – so glad you had!! The polenta story is very funny. Imagine my face on eating it for dinner!!! Hi Mary, love this salad, have never tried freekeh before, we enjoy farro quite often, looks delicious! 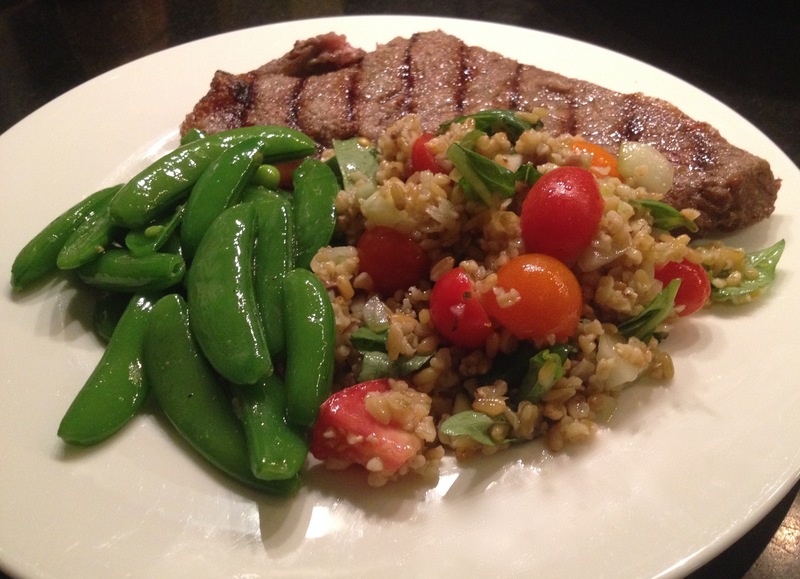 Cheri – So glad you read this – you could substitute farro for freekeh if you’d like – both are great!! A very very delicious and nutritious salad! I didn’t know that September was whole grain month! Live and learn… I’ve never heard of either of these two grains – they look as if they’d work well in risotto too probably? Your salad looks delicious! You had me intrigued since I never heard of freekeh. The photo makes me think of Israeli couscous and bulgur.The salad looks delicious and a great side for Middle Eastern entrees. That’s a beautiful salad and a perfect side to that steak! A big bowl of this would make me a happy girl! I am just beginning to discover farro and so glad to discover freekeh through you, Mary. And I discovered that Sep is Whole grains month!! I should start using more grains this months. Thank you for this post. 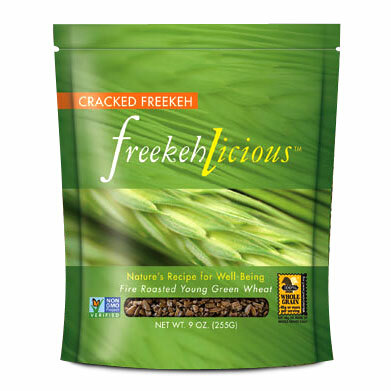 This is the first time I heard of this one, freekeh. Is it pronounced like “freaky”? Can’t wait to try this, as I have BAGS of freekah stuffed in my cabinets. Bought some by mail a while ago and forget to make it, therefore, the bags . . . I like the idea of the anchovies, what a nice surprise. This looks delicious and healthy. 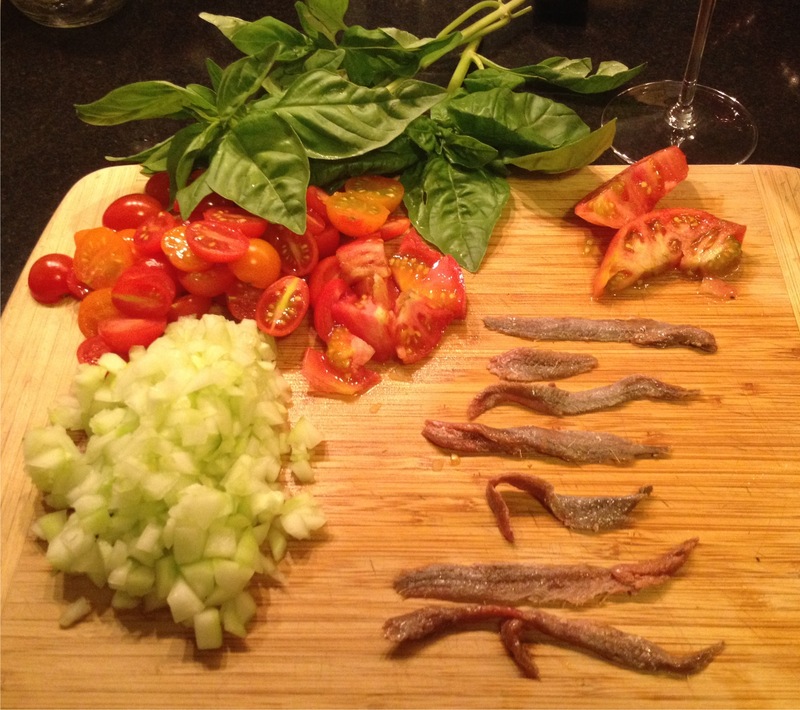 I love that you used anchovies.They add so much great flavor. Yum. What a fresh and delicious salad, I love the name ‘Freekah’! Choc Chip Uru recently posted…Tell Me About JAG Australia? the name alone of this dish makes me want to try it! It looks delicious and hearty yet simple with a great mix of flavors!